There’s a lot that goes into designing a strategic website – whether it’s for you or your clients. A big part of an effective design is placement and the strategy behind calls-to-action. 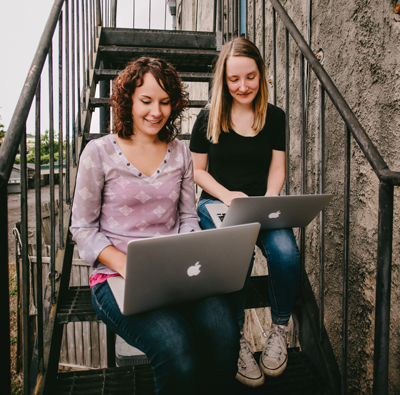 You just can’t create a strategic website design without them. 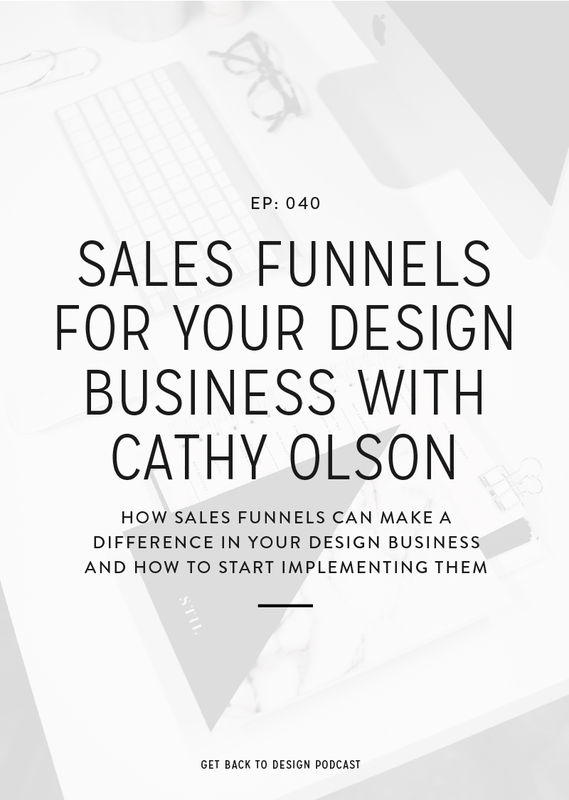 In this week’s episode we’re focusing on how you can create calls-to-action that convert for your clients. 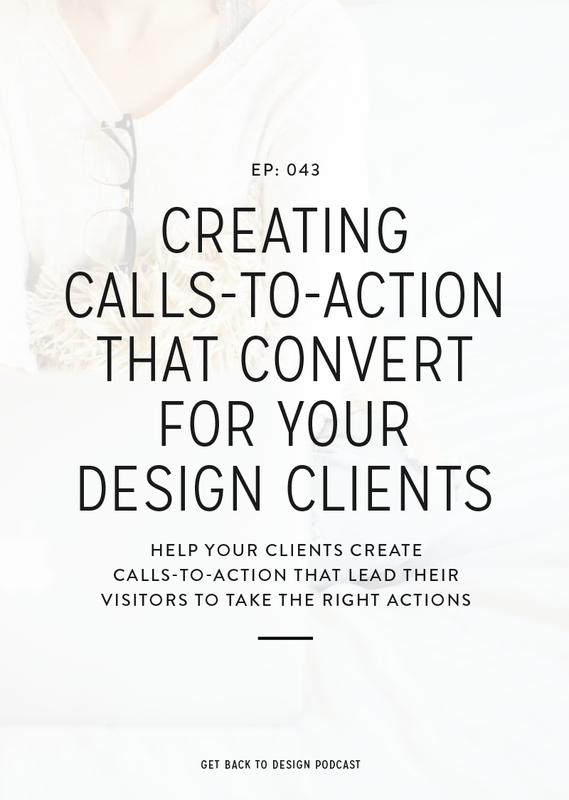 We’ll go over how your role as a designer fits into deciding calls-to-action, why calls-to-action might not convert, design tips, and our favorite places to include calls-to-action. You might be thinking that, as a designer, you shouldn’t have to care about calls-to-action. In part, you’re right. 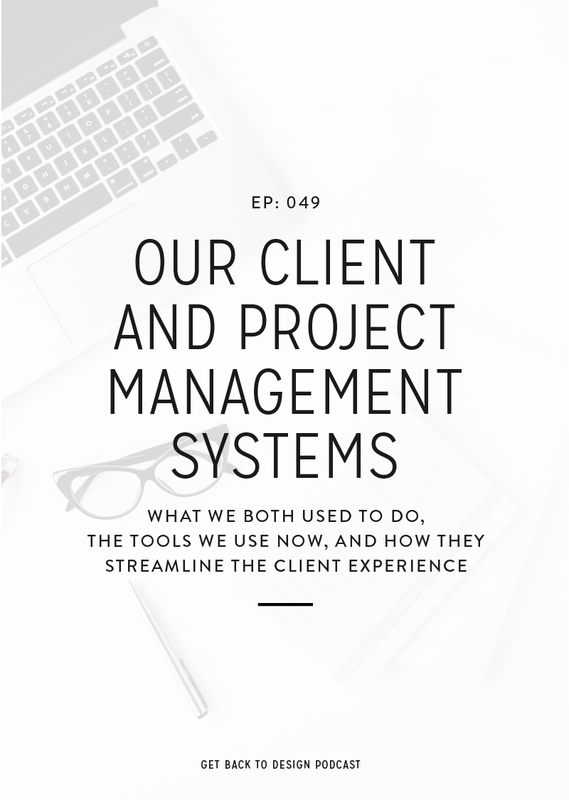 In a perfect world all clients would know exactly what they were doing and you wouldn’t have to put any extra thought in to making a website more strategic. But if you’re dedicated to seeing your clients get results, it’s totally worth setting aside a few minutes to give your clients a hand with their calls-to-action. One of the most obvious call-to-action mistakes is to not have them. 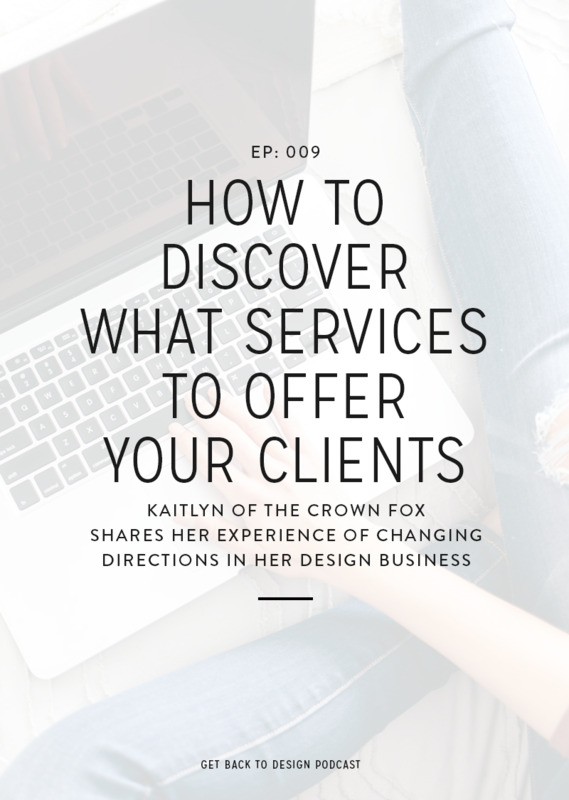 It might seem simple, but a lot of clients just don’t think of it, especially if they’re newer in business. If you come across this, take some time to give them a hand. Add a call-to-action to a page for them, let them know what you did, and encourage them to do the same thing to the rest of their pages once your project is complete. Another big mistake with calls-to-action is to include options that don’t make sense. For example, there’s no reason to ask someone to view a Services page after they’ve reached out on the Contact page. Once someone has reached out, they’re going to wait for a response. They’re not going to go make a purchase during that time. And last, a lot of calls-to-action don’t convert because clients are asking for too much at the wrong time. You can’t expect someone to be checking out a homepage and deciding where to start and then see a button to book a $2000 service and go for it. Take it one step at a time with a commitment level that fits where they are in the process. Let’s dive into a few ways to make sure your client’s calls-to-action convert. First, make sure all calls-to-action on the site are actually relevant. Like we talked about before, make sure the commitment level of the call-to-action matches where the website visitors are in their journey. Also ensure that all calls-to-action are relevant to your client’s business and fit with their funnel. Next, make sure the physical placement of the calls-to-action make sense. The middle and ends of pages are usually the best, but sometimes a simple offer like a freebie at the beginning of a blog post will work. When considering placement, also think of areas outside of the contents of a page or post including the sidebar, footer, menu, hero image, and banner. With this, make sure one page or area isn’t overloaded with calls-to-action. We don’t want people feeling overwhelmed with options or annoyed at being asked to do too many things without being given the appropriate amount of value. Your design can also do a lot for helping conversions increase. When designing a call-to-action, make them stand out with things like backgrounds and borders, hover effects, graphics, and buttons. My (Krista) personal favorite place for calls-to-action is the footer. It’s a widely underutilized part of websites, while being a great way to catch people if they’re about to leave the site. 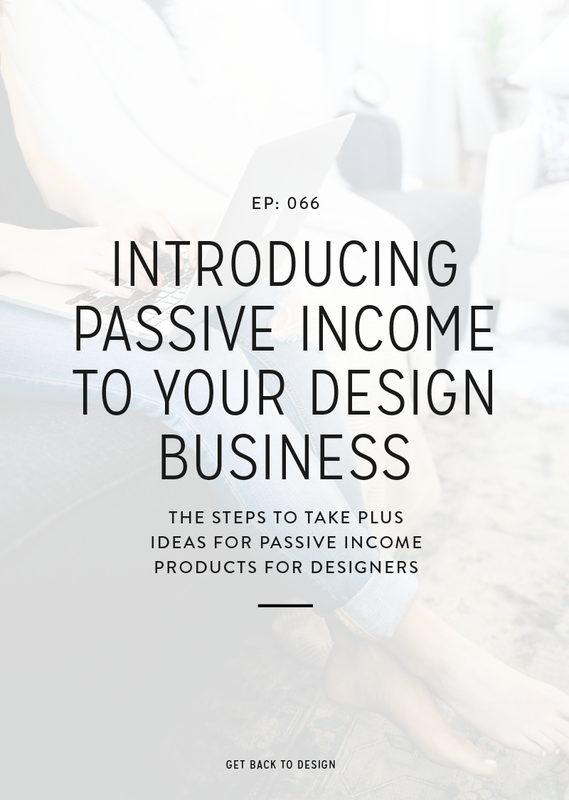 Since this is an area that you can’t directly relate to the specific page content, make it a nice low-commitment option like joining an email list in exchange for a freebie or jumping into a free community. Kory’s favorite place for calls-to-action is the menu. A lot of clients don’t think of their menus as being strategic, but it really has so much control over where people end up on a website.